While many products are suitable for general purpose engineering, others are manufactured for specific purposes, for example, plate for pressure vessels, boilers, and floors. 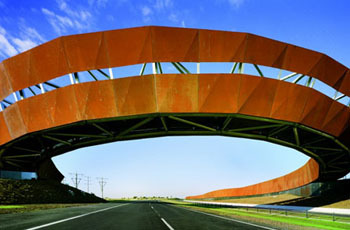 But regardless of product use, all structural steel manufactured by BlueScope Steel complies with the Australian standards for structural steel. The specifications cover all elements of manufacture including chemical composition, structural quality, the yield-stress structural quality required, formability requirements, and tolerances on dimensions and shape. Steel-making processes, defects and the need to avoid them, as well as various tests, and specified certifications, are also considered. 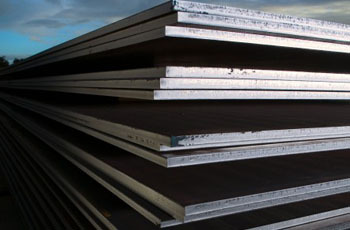 Flat mild steel, which is supplied in 6 m lengths, is available in sizes from 150 mm x 5 mm (which is technically steel sheet) to 300 mm x 25 mm. 300 mm x 16, 20, and 25 mm. BlueScope’s flat mild steel meets the AS/NZS 3678-2016 specifications for Grade 250 steel. This is regarded as a medium-strength structural steel plate product and it has a nominal yield strength of 250 MPa. It is commonly used for general fabrication and construction. 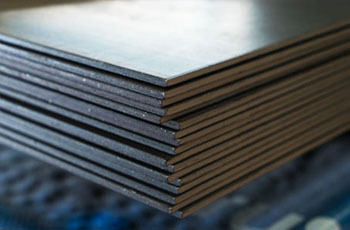 Plain steel plate is available in thicknesses up to 150 mm and some 8 mm x 25 mm plate can be supplied in widths up to 3.2 m. Thicker plate (110 mm to 150 mm) may not be available in 6 m lengths. Plain plate is also made in accordance with the AS/NZS 3678-2016 specifications for Grade 250 steel. Coil plate is available in thicknesses up to 12 mm. Typically, coils are 1.2 m wide, but it is available up to 1.8 m wide. It is possible to order coil plate steel that has been cut to size. BlueScope’s coil plate is manufactured in accordance with the AS/NZS 1594 specifications for HA 250-grade steel that is produced on a hot strip mill in coil form. Grade 350 steel plate is manufactured in thicknesses from 5 mm to 80 mm and in widths of 2.4 m and 3 m or 3.1 m. Lengths depend on width and thickness, but range from 5.5 m for 2.4 m-wide steel plate that is 80 mm thick to 9.6 m lengths for 2.4-wide steel that is 6 mm to 32 mm thick, and 3 m-wide steel that is 10 mm to 20 mm thick. Made in accordance with AS/NZS 3678-2016 for Grade 350 steel, this mild steel plate is stronger than a Grade 250 steel and has a nominal yield strength of 350 MPa. It is often used for structural steel applications that require high strength combined with ductility and weldability, including storage tanks, bridges, high rise buildings, and general fabrication. 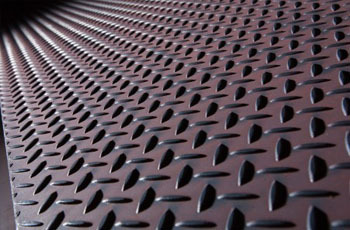 Pressure vessel plate is available in a 5 mm thickness that is 2.4 m wide and 9 m long. It is made in accordance with AS 1548, the Australian standard that specifies manufacturing requirements for weldable, fine-grained steel plate for pressure equipment. More specifically, AS 1548-7-430R which is for Grade 430 results in a minimum tensile strength of 430 MPa. 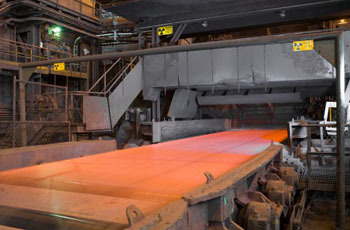 Boiler plate is manufactured in two widths: 2.4 m-long steel plate is between 40 mm and 100 mm thick and available in 9.6 m (40 mm and 50 mm), 6 m (60 mm and 70 mm), and 5.2 m (80 mm, 90 mm, and 100 mm) lengths. The 3.1 m-wide boiler plate is all 9.6 m long for 6 mm, 8 mm, 10 mm, 12 mm, 16 mm, 20 mm, 25 mm, and 32 mm thick metal. Boiler plate steel is manufactured in accordance with AS 1548-7-460R which results in a 460 MPa tensile strength. Coil floor plate is manufactured in accordance with the AS/NZS 1594-2016 specifications for HA 250-grade steel. It is available in widths of 1.2 m, 1.5 m, and 1.8 m depending on thickness which could be 2.1 mm, 3 mm, 5 mm, 6 mm, and 8 mm, although the thinner plate is technically sheet steel. There are also standard 6 m-long floor plates that are 8 mm, 10 mm, and 12 mm thick. This steel floor plate is made in accordance with AS/NZS 3678-2016 for Grade 250 steel. BISALLOY® Structural 80, which has a tensile strength of about 830 MPa and is commonly used for transport and mining equipment, for excavator buckets, and bridges. BISALLOY® Wear 400, which has a tensile strength of about 1320 MPa. It is used for cutting edges, dump truck wear liners, chutes, screw conveyors, and deflector plates. 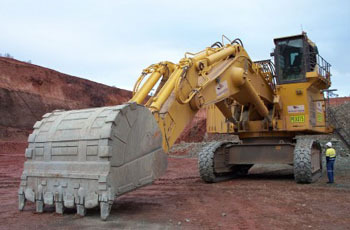 BISALLOY® Wear 500, with a tensile strength of around 1640 MPa, is also used for cutting edges, dump truck wear liners, and chutes, as well as earthmoving buckets and other types of wear liners. Structural products that include medium- and high-strength steel plate with varying nominal yield strengths: 250 MPa, 300 MPa, 350 MPa, 400 MPa, and 450 MPa. Boiler and pressure vessel products manufactured from fully killed, fine-grained carbon-manganese steel. Weathering steel products that are weather resistant, this hot-rolled plate product boasts an improved corrosion performance that results in cost advantages and an improved service life. Analysis and counterweight products that are manufactured to either meet specific chemical compositions for the analysis grades or a broad chemical analysis range for the counterweight grade. TRU-SPEC® is a new coil plate product that was developed by BlueScope Steel using stretch-levelling technology. The motivation is to provide consistently good product quality in a range of structural grades, widths, and lengths. TRU-SPEC® Coil Plate Steel is commonly used for general fabrications, light and standard structural members, light poles, automotive and trailer components, brake press forming applications, and galvanising applications. TRU-SPEC® is also available in the form of floor plate and weathering steel. All the steel plate products offered by BlueScope Distribution are available with access to BlueScope’s advanced technical support service that has been in business in Australia for more than four decades.